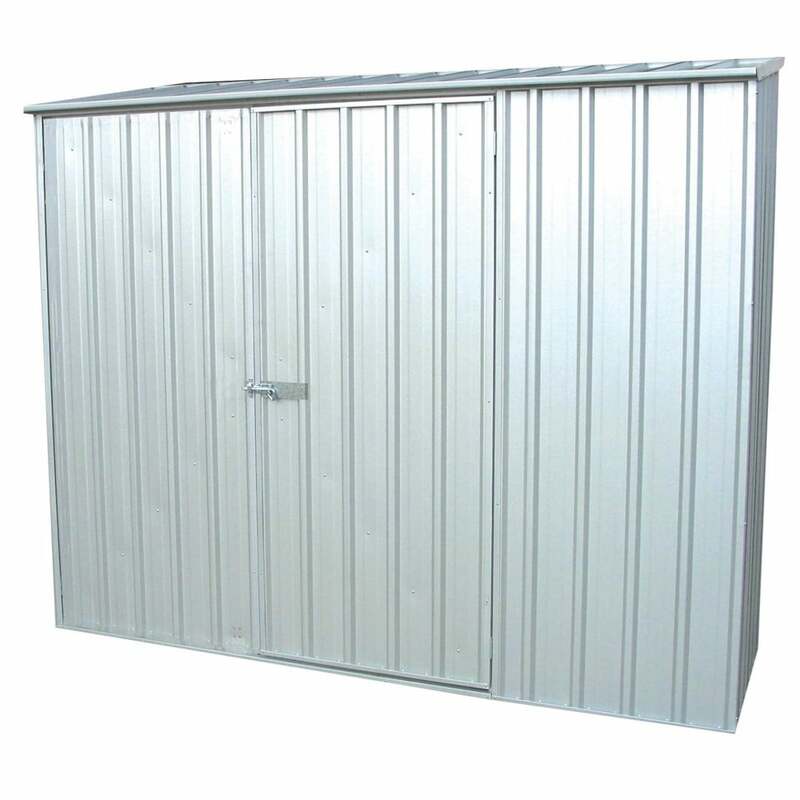 Mercia 7 x 5 Space Saver Metal Shed Available in Two Colours: The 7 x 5 Mercia metal shed is a compact and secure outdoor building which provides practical garden storage space. The Mercia space saver shed features a unique and simple Snap-Tite assembly system for an easy installation. The 7 x 5 garden metal shed has a single braced door which provides easy access for manoeuvring items and features steel framing for added structural support. The outdoor metal building is frost and ice resistant so will not blister or crack and is also fire retardant. Please note - This product is not supplied with a floor, it must be anchored down to a concrete or slab base using the optional anchor kit. Images are dressed and painted for display purposes only. All listed metric dimensions listed below include the roof overhang.